For the past few days, I was at Princeton Seminary for the Frederick Buechner Writer’s Workshop – something so worthwhile that I have made it into an annual pilgrimage. Listening to geniuses such as Anne Lamott, Kathleen Norris, and the master himself through other greats speak of the craft is exhilarating. It always serves as the catalyst that I need to get out of a slump and begin to write again with more passion. [r]eligion as a word points to that area of human experience where in one way or another man comes upon mystery as a summons to pilgrimage; where he senses meanings no less overwhelming because they can only be hinted at in myth and ritual; where he glimpses a destination that he can never know fully until he reaches it. I often find myself allergic to the word “religion”. When someone launches on a diatribe around religion, I feel my throat swelling, my arms begin to itch, and a sneeze tickle its way out. Anaphylaxis sets in and my breathing becomes belabored. The word “spirituality” seems to connote, for me, a more approachable reality that allows for the movement of the spirit and not a mere assent to intellectual understanding or belief. Buechner provides for me an antihistamine with unfathomable efficacy. 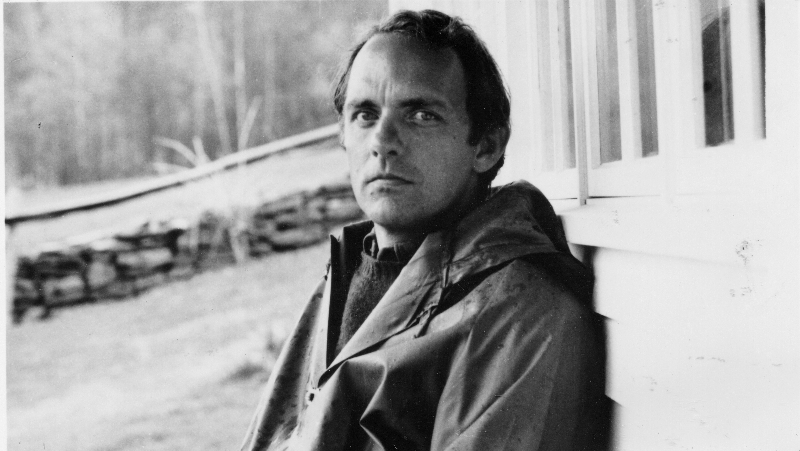 For Buechner, writing is and was a religious practice. It is a ritual for the writer to express his or her encounter with the divine. It is, although often inadequate, an attempt to reveal to the rest of the world what the mystic has perhaps accidentally stumbled upon. Sitting down to convey such an experience is akin to chanting an ancient liturgy or presenting bread and wine in the hopes that those gathered at the altar can see it as body and blood as clearly as the one who is giving it. We are all of us more mystics than we believe or choose to believe—life is complicated enough as it is, after all. We have seen more than we let on, even to ourselves. Through some moment of beauty or pain, some sudden turning of our lives, we catch glimmers at least of what the saints are blinded by; only then, unlike the saints, we tend to go on as though nothing has happened. To go on as though something has happened, even though we are not sure what it was or just where we are supposed to go with it, is to enter the dimension of life that religion is a word for. “To enter the dimension of life that religion is a word for.” And there it is. The redemption, for me, of the word “religion.” That’s all it is. Simply a word that struggles in its simplicity to describe a reality beyond description. Sacred space, thin places, the setting where the Spirit can faintly be heard dancing over the face of the deep causing ripples that seem to hum something so beautiful that not even Barber could have conceived it. Some do, however, dare to undertake the impossible. Those who create art are those who listen for the voice of the muses and attempt to translate their message for the rest of us. Buechner said that those creative souls who set about this work of holy interpretation are driven by a fire not unlike that of Jeremiah when he said that “the word is in my bones and if I do not speak it, it will consume me.” The labor of imagination and awareness of an unseen place plants the seeds that allow for the birth of the sacred amidst the mundane. First the lump in the throat, the stranger’s face unfurling like a flower, and then the clatter of the keys, the ting-a-ling of the right-hand margin. One thinks of Pascal sewing into his jacket, where after his death a servant found it, his “since about half past ten in the evening until about half past midnight. Fire. Certitude. Certitude. Feeling. Joy. Peace,” stammering it out like a child because he had to. Fire, fire, and then the scratch of pen on paper. There are always some who have to set it down in black and white. Sitting on the Orange Line train from Midway Airport, alone with my thoughts and having nothing better to do than reflect over the wisdom imparted while hoping that with me it didn’t fall futilely like seeds on barren land, something occurred to me. Those brave souls like Buechner, Lamott, Taylor, Norris, O’Donohue, and many others who came before and after them make visible for us what is otherwise invisible. Things like the flutter of angels’ wings behind an oak tree whose leaves are set ablaze by the sinking sun. For us, these courageous ones who use urim and thummim to see beyond the substance of things unseen all the way through to the true essence of creation and being itself are creative mystics. They use their tools – pen and paper, computer, typewriter, brush and easel, score paper – and open a door to the place where dreams are birthed from the tehom. They are like the great scientists who challenge us to imagine that the impossible is possible and that hope is more than ephemeral. Grabbing us gently by the shoulders and leading us over to peer down into life itself through their microscope or out through their telescope where the heavens expand and Browning’s reach exceeds his grasp, they show us. “Do you see it?” they ask us. “No. What is it?” we say. And then suddenly we gasp as it becomes visible. Our eyes wide open followed by a smile so vast that it almost hurts our face. It comes into focus for the first time. The sacred. The mystery. The burning bush that is engulfed in flames, but not consumed. And silently we remove our shoes and weep.